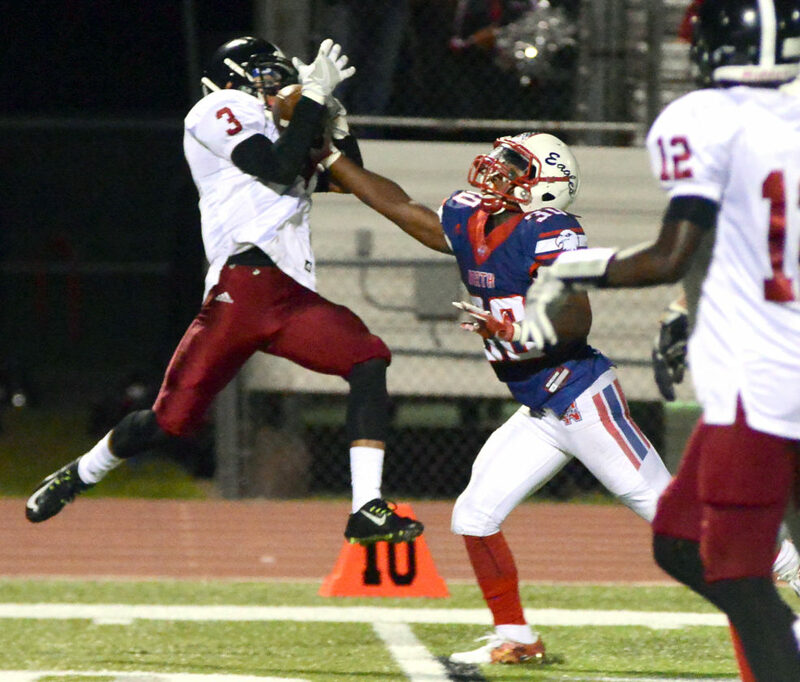 Jalen Dudley (3) went up in the air to grab a long pass in the third quarter as Lawrence played Olathe North at ODAC Friday. 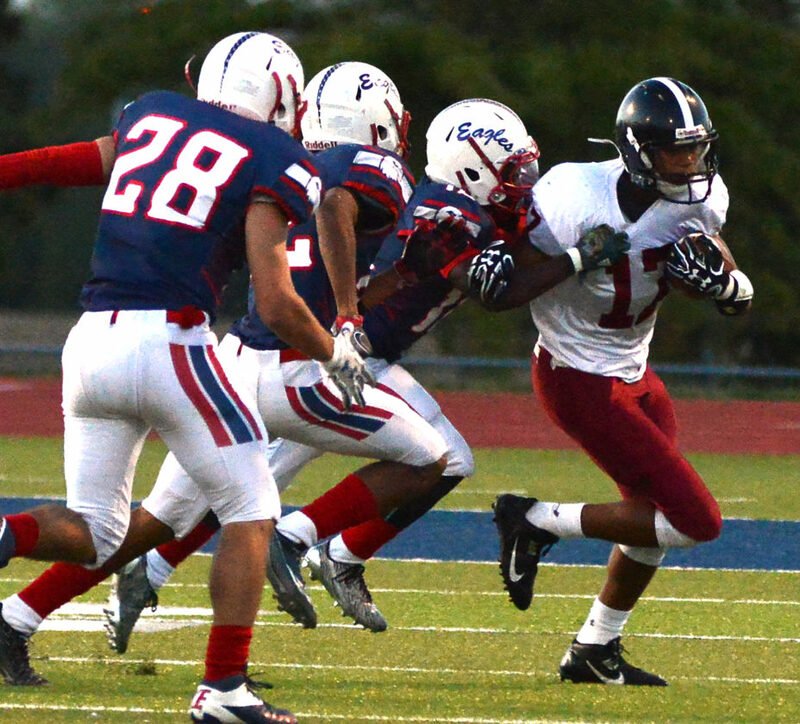 Clarence King (17) tries to elude a triple threat of Eagles as Lawrence played Olathe North on Friday night at ODAC. 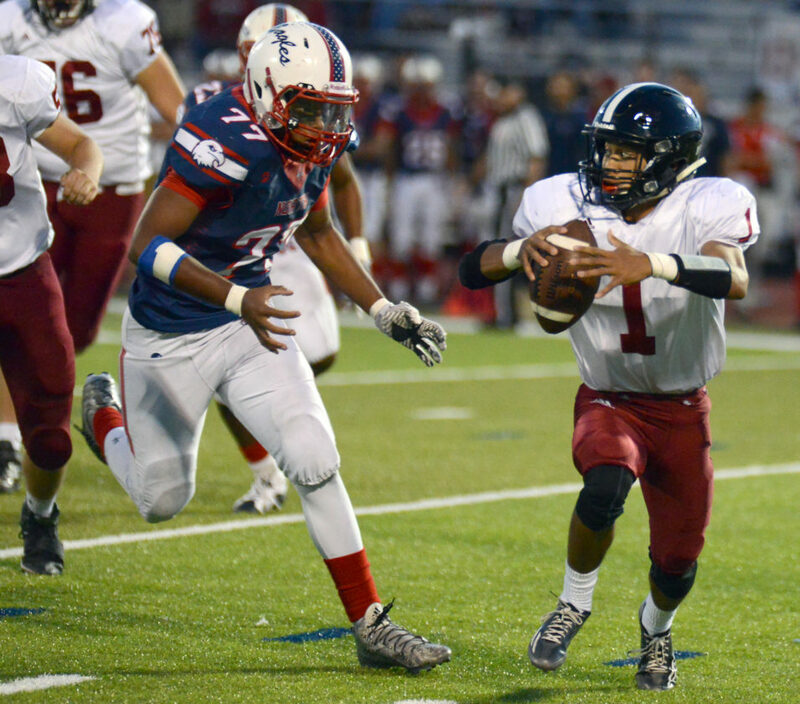 Dante Jackson (4) scrambles to avoid a sack as Lawrence played Olathe North on Friday night at ODAC. 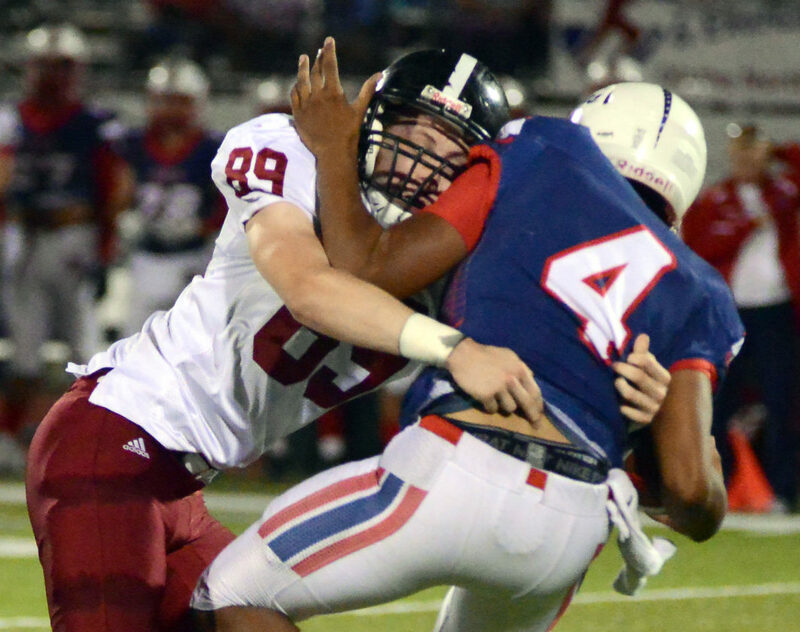 Samuel Bart (89) busted through to get a quarterback sack on Mason Myers (4) as Lawrence played Olathe North on Friday at ODAC. 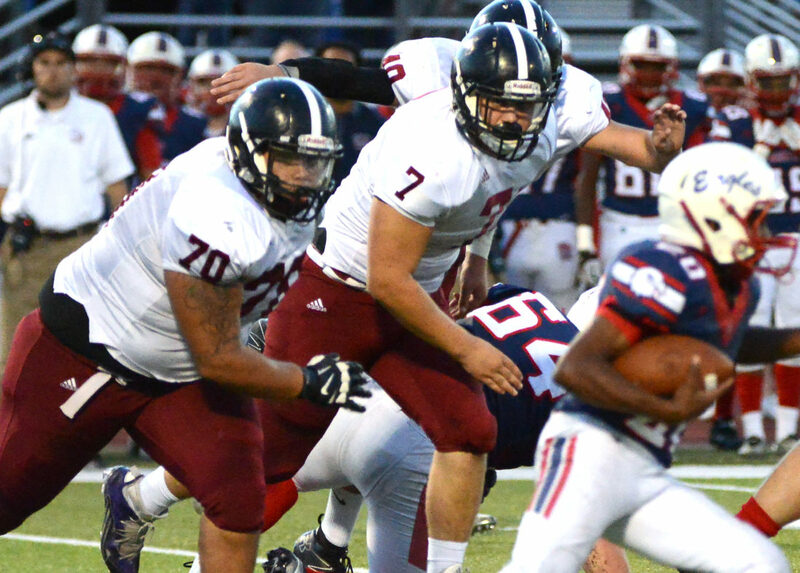 Mark Greene (70) and Jake Unruh (7) chase down the ball runner as Lawrence played Olathe North at ODAC Friday. 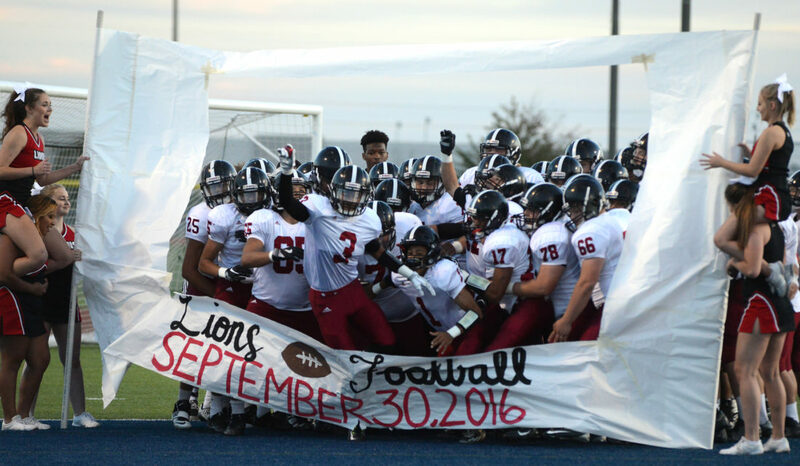 The Lions makes a grand entrance to start the game as Lawrence played Olathe North on Friday night at ODAC.